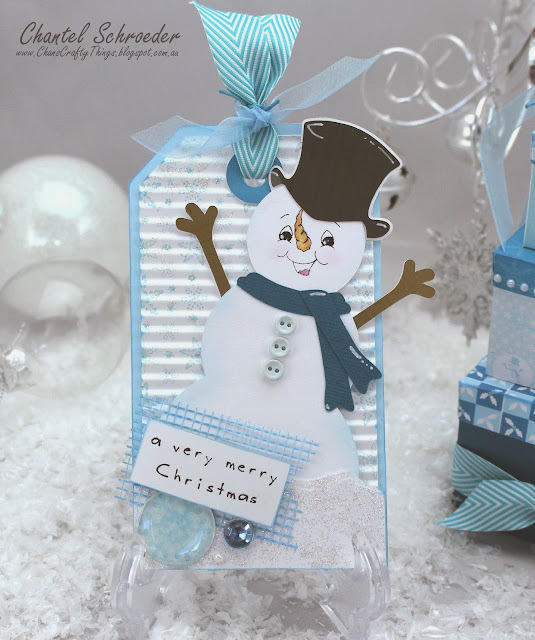 Today I'm sharing a Christmas gift set and Snowman tag I made using digital paper and SVG files from Fleurette Bloom. 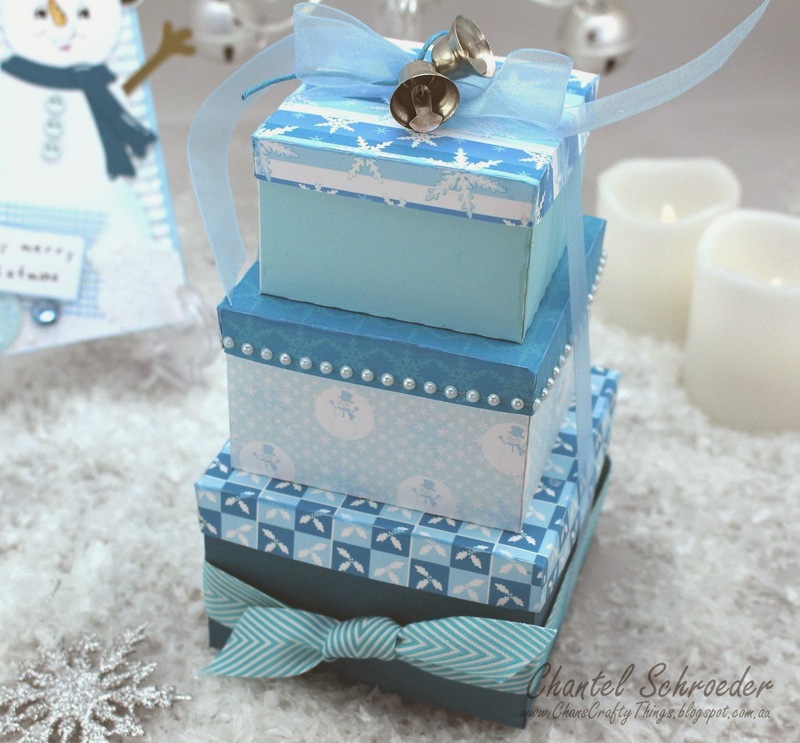 The little boxes are from the New "Nesting Gift Box" SVG Collection and the paper is from the New "Let It Snow" collection. I don't often do winter themed projects as it is so hot here in Australia - especially around Christmas Time. 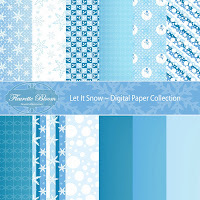 But when I saw the new paper collection, I just couldn't resist making something with it straight away! 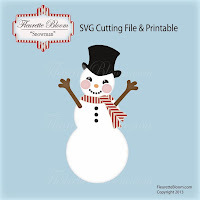 For the tag, I used a Silhouette file along with this cute little Snowman file as the focal point. 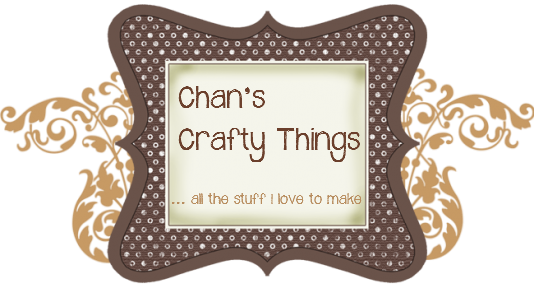 I recently got some Peachy Keen Stamps but haven't had an opportunity to use them yet. So I thought I would try them out on my snowman to give him a bit of personality. Now that I've used these stamps, I can honestly say that I understand what the fuss is all about. They take ink very well and give such a lovely finish but mostly, I love the variety of facial expressions in each set - they're all just too cute! As I don't have any copic markers, I used good old watercolour pencils to add some colour to my snowman's face. I then used chalk to add a touch of blush to his cheeks and a tint of blue all around his body. 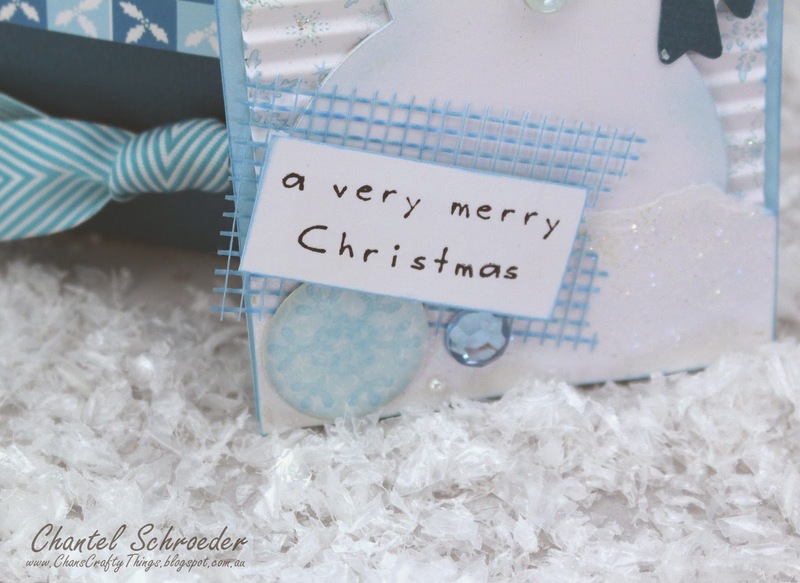 For the most part, I used embellishments and ribbon from my stash, but I wanted something a little bigger to fill the void space under the sentiment. 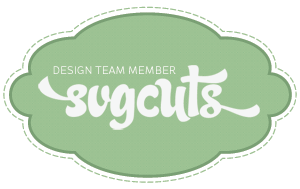 I didn't have anything that worked with my colour scheme/theme so I made my own. 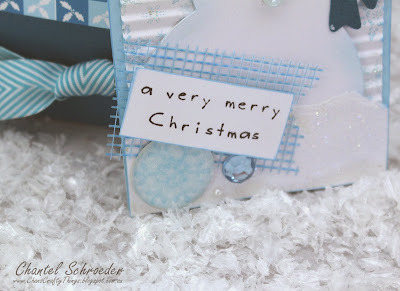 When I did the print and cut tag, I added a 1" circle and filled it with paper from the "Let It Snow" collection. I stamped a snowflake on it after I cut it out with my Silhouette Cameo and then I covered the circle with an epoxy dot. Viola! A perfectly coordinating embellishment that's quick and easy to make. 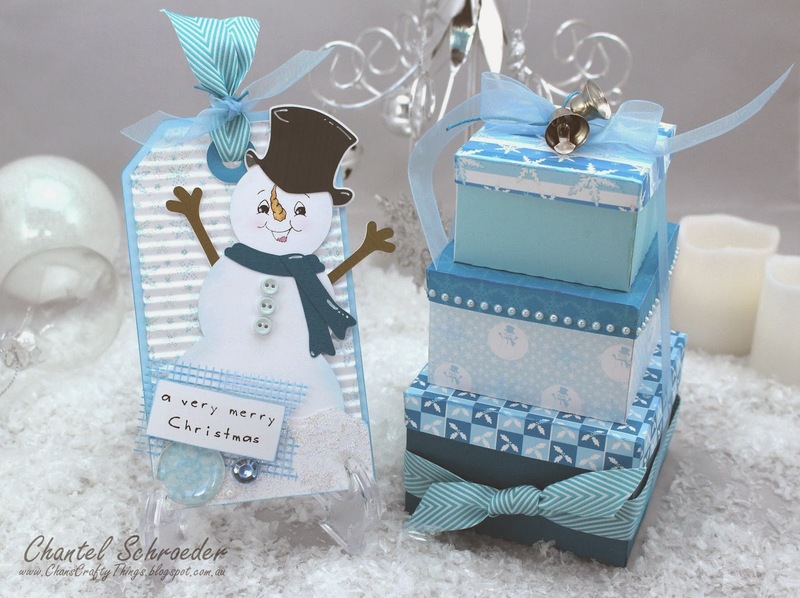 I had so much fun selecting the files, papers and embellishments for this gift set as I sometimes really enjoy to start from "scratch". 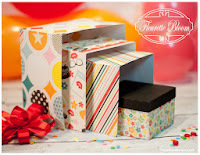 The digital world of crafting is incredible, especially when I look at a finished project and think that it all started with a piece of white cardstock... Isn't that awesome?